Calgary Alberta Canada is home of Award Winning Comedy Magician Brent Smith. 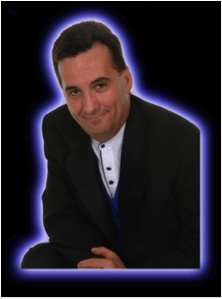 Brent has been in magic for over 37 years and has won repeatedly the Calgary International Brotherhood of Magicians, Ring 66, yearly Magic competition. Starting at the age of five, Brent began becoming a magician using an incomplete, wrinkled deck of cards and his parent’s coffee table. That small beginning has grown into a full evening show with stage illusions, live animals, lights, music with lots of audience participation, interaction and amazement. Brent has produced, and performed in, full touring shows, helping to raise money for charities across Western Canada and is currently involved with many charities. With his endearing wit and magical talents he knows the secret of making people laugh, and has developed his own unique brand of comedy magic. In an effort to pass his art onto the next generation, Brent has opened The Vanishing Rabbit Magic Shop in Calgary, as well as started his own school of magic, to teach interested customer’s about his exciting art. Brent says “Magic helps with everyone from Adults to Children with self esteem, self-confidence, memory, speech and coordination.” He says that it guarantees his clients the best and most recent in Magical entertainment and Tricks.